← FFA Q&A: Do You Need Global Awareness to Succeed in Agriculture? Max Sherman has been in the classroom for 35 years, and a large chunk of that time has been spent preparing his students to be global citizens. 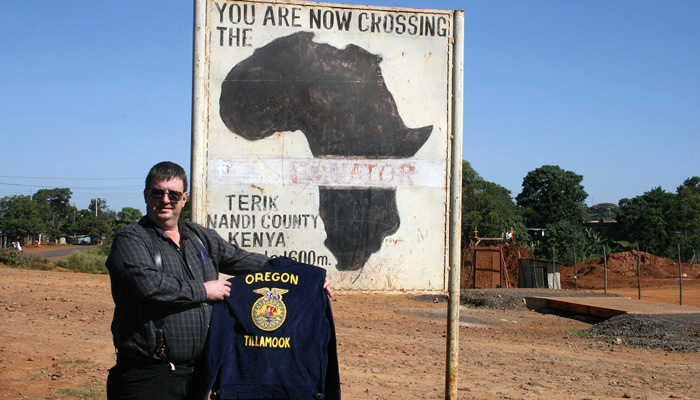 He and wife Linda team-teach in Oregon at Tillamook High School, located in a small, rural town of 5,000. The husband and wife team sees the value in global awareness no matter where the kids come from or what their plans are after high school. During Sherman’s tenure as an educator, he has worked with many international agriculturalists and educators. Currently Tillamook students are 21st-century pen pals, mentors and partner researchers with students in Kenya. 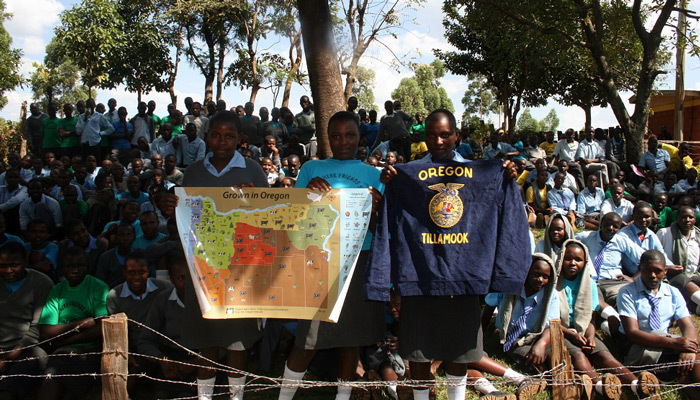 Tillamook FFA members have conducted fundraisers and have supplied a computer for the Kenyan agricultural classroom. Sherman agrees that it would be great to use Skype, but even now that the classroom has a computer, they don’t have enough bandwidth to support video conferencing. “Getting these facts and perspectives out in the open allows the students to move these conversations into real relationships. Knowing these perceptions make the students more aware of issues and become overall better global citizens,” he said. Sherman believes this project is so important, he involves all of his classes to some extent. They have found that the Kenyan teachers are active in agriscience. Students conduct research projects in their programs. Tillamook students often serve as mentors, even conducting joint research projects in both countries. Tillamook FFA members are currently working to send the Kenyan teachers soil-testing kits. Simple things like soil composition make a big difference in production. Providing these kits to the school could make a huge difference in their yields. Sherman is also working with the local farm bureau to bring two Kenyan agriculture teachers and a director to Tillamook in April. While in Oregon, they will tour different sectors of agriculture as well as agricultural education programs. Sherman’s international agriculture class is involved in the itinerary and the hosting of their international visitors. 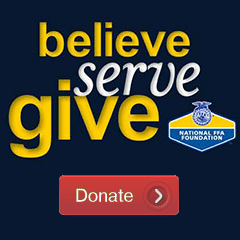 Tillamook is also a two-year recipient of a Food For All Grant administered by the National FFA Living to Serve Team. Because of their tireless work in the area of hunger and food security, Jeff Simmons, the president of Elanco, brought Sherman and one student on stage during last year’s National FFA Convention & Expo.